Some hotels may offer you great service, however it really can be hit or miss. Once checked in and settled, learning that the service at your “home” for the next few days does not live up to your expectations can be a real downer. Unless you are staying in a 5 star hotel, service can mean that the only service experience you have as a patron is upon arrival at check in. At a bed and breakfast, your service experience is much more on the concierge level and not on the “call the front desk only if there is a problem” level. We want you to be comfortable. Staying at a bed and breakfast feels much more like home. At Casa Blanca Inn & Suites, we aren’t Farmington’s finest bed & breakfast inn for no reason. We go above and beyond to make sure your stay with us is packed with customer service that makes your trip memorable. So take your pick – a run of the mill hotel experience or a bed and breakfast with the comforts of home. Hotel can be very cookie-cutter, even ho-hum. Same room, different hotel sums up many hotel experiences. This makes many stays pretty unforgettable. When you stay at a B&B, you will leave with a unique and memorable experience. Do you remember the hotel experience you had five years ago? Me neither. But if you were to ponder the same question about a bed and breakfast, you would very likely remember your stay. That’s because the bed and breakfast experience versus a hotel room can be much more personal. When you stay at a B&B, you are not just a room number. You are a guest welcomed into a space that feels like home. In fact, you are welcomed into a home, our home. 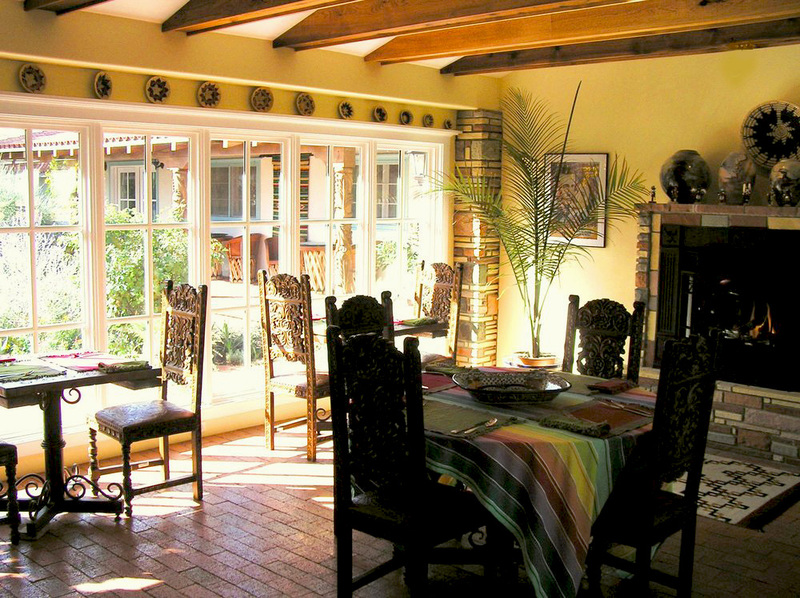 And guests of our Casa Blanca home are sure to have a more enjoyable experience than a regular old hotel. Just in case you didn’t realize, breakfast is part of the deal. The most important meal of the day is home cooked and specially prepared to your liking at a bed and breakfast. And it is complimentary. At a hotel, you might get an on-the-go cold breakfast that leaves you hungry a few minutes later. Sometimes you might get lucky with a hot breakfast, but it won’t be personal or made to order. And who knows how long it has been sitting under that heat lamp. But at a bed and breakfast, you can start your day with a home cooked, gourmet meal often made with local flavor. No need to wake up in search of breakfast. Staying at a B&B is a great way to get some R&R. Many bed and breakfast inns are located in peaceful settings and have beautiful gardens and views to take in. Bed and breakfasts are also often located close enough to the action without being right in the middle of it, allowing you to have the best of both worlds – rest and relaxation as well as excitement and entertainment. Bed and breakfasts tend to promote peace and quiet and offer a great place to escape from the stresses of everyday life. Stay with us at Casa Blanca Inn and Suites and you will enjoy our peaceful gardens, trickling fountains, and luxury accommodations. Book your stay today! So if you haven’t stayed at a bed and breakfast yet, what are you waiting for? Book your stay at Casa Blanca Inn & Suites today.